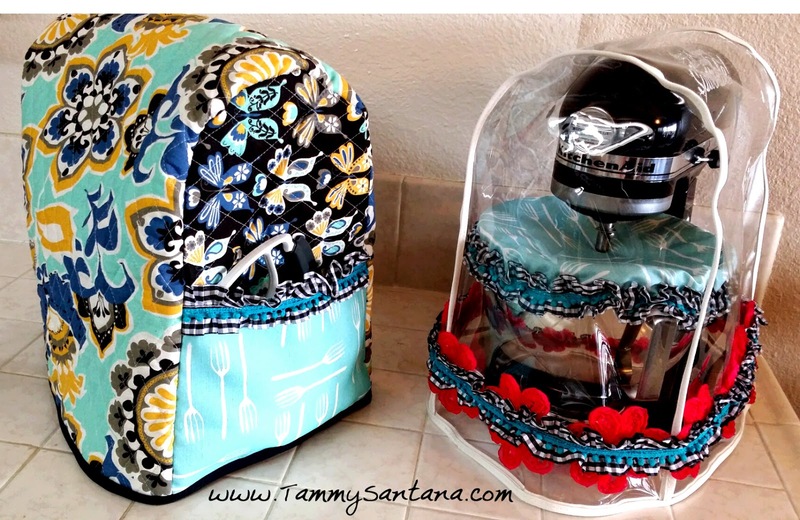 TammySantana.com: "Fork It Over" KitchenAid Mixer Cover! My Friend Laura Bray is launching a fabric line and I am super excited to be one of the first designers to work with her fabric! Today I am using Laura's "Fork It Over" fabric to make a KitchenAid Mixer Cover. 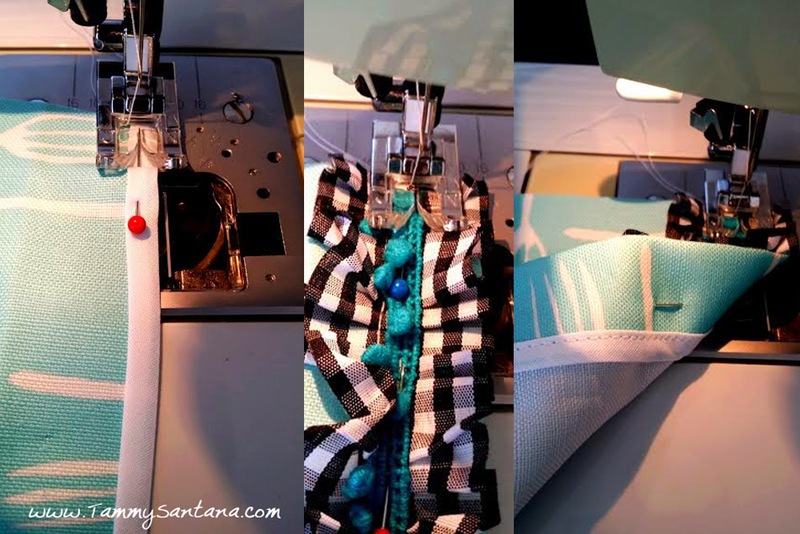 I am not much of a seamstress but I was able to make the fabric cover by measuring the height, width and depth of my machine and hand drawing my own pattern. 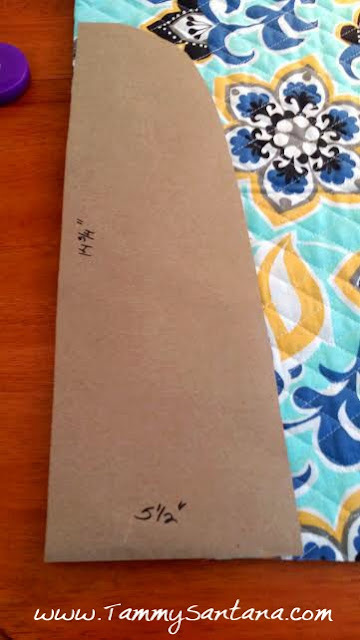 I cut one center panel piece 33"x 13" in addition to two of the end pieces cut on the fold as shown above. I also cut a 9.5"x 9.5" pocket piece out of the "Fork It Over" fabric and attached double fold bias tape to the rough edge at the top. I then sewed the black and white checked and mini ball fringe trim to it before pinning it to the front panel and center panel and turning them inside out to be sewn together. 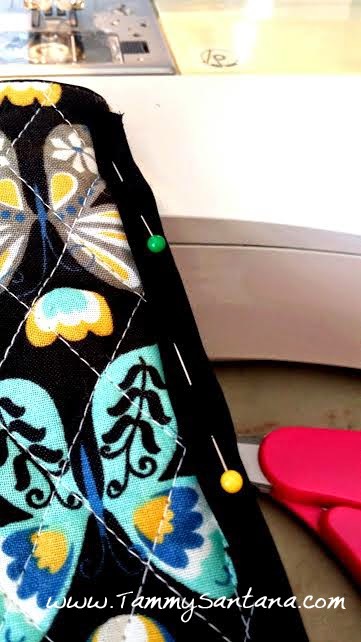 Once I sewed the front and back panels to the center panel, I attached black bias tape to all of the rough edges inside and also to the bottom of the cover. 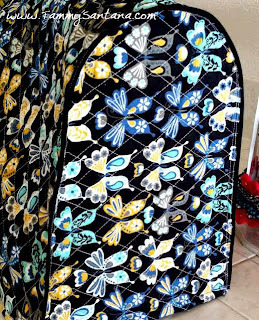 The nice thing about having all of the rough edges finished is that the cover can be reversible if you are using that type of fabric. I love how the cover turned out! 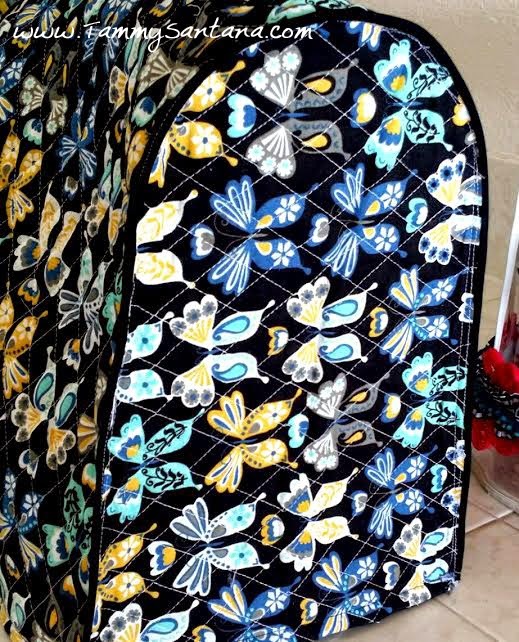 I think Laura Bray's new fabric worked well with the coordinating fabric that I found at Joann's. I will show you how to make a clear vinyl cover in my next post. 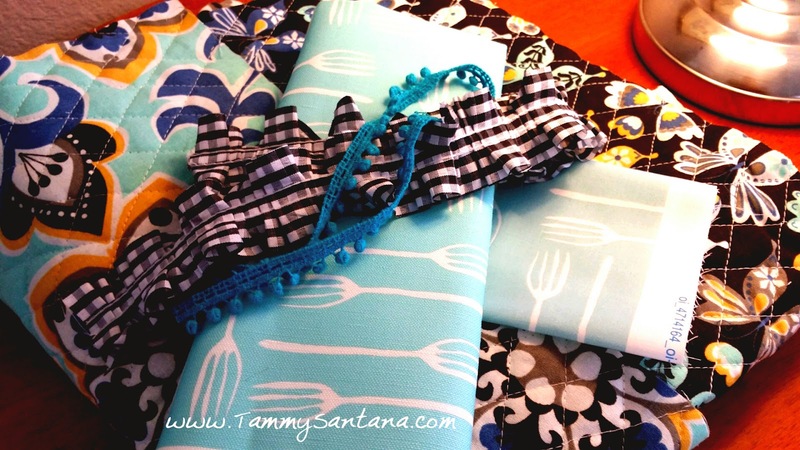 If you would like to make a matching bowl cover check out my bowl cover tutorial post! 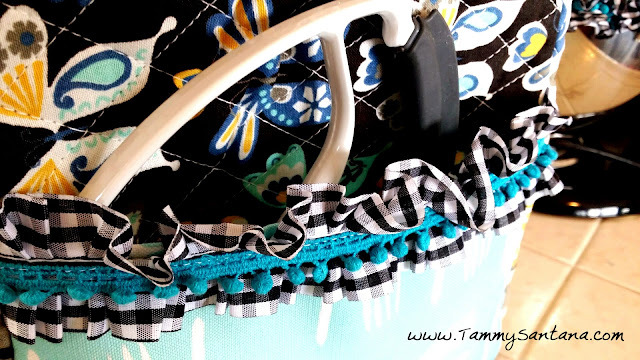 Check out all of the other cute projects on Laura Bray's blog hop! So cute! You know how much I love my KitchenAid mixer! Thanks for being part of the blog hop! 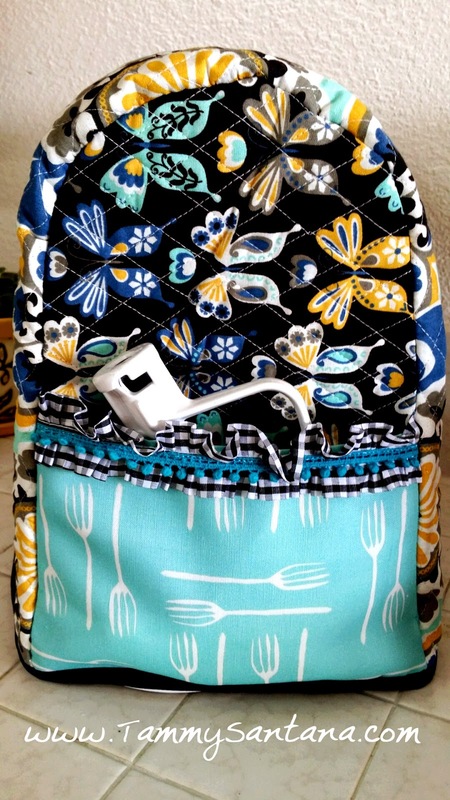 Nice mix of color and fabric on a pretty and practical project.